Advanced Theory of Business Management for Leading Program (Ⅰ) &　(Ⅱ): Lectures for 2 new subjects will begin through the full cooperation of REC*. Each will comprise a 2-credit series of lectures lasting 8 weeks that combines classroom learning and practice, and provides training in entrepreneurship targeting future business start-ups and basic management. First-rate Studies : Human resources are cultivated that possess high ambitions and big dreams through lectures given by a variety of top individuals in liberal arts fields, including the areas of culture, arts, sports, and education. Cultural Exchange Studies : Cross-cultural communication gatherings are held where overseas students and others share the cultures of their countries in English. The program coordinator is Mari Christine, a Goodwill Ambassador for the United Nations and a cross-cultural communicator. Intellectual Property Education : There are plans to utilize connections from the Innovation Training Program to invite lecturers to speak on the “theory of intellectual property rights” as part of the center’s education aims. 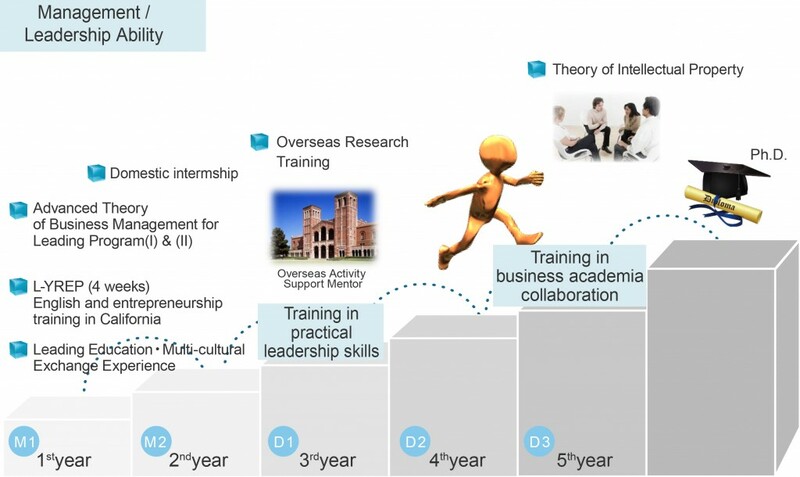 HP Excerpt: This center offers progressive and systematic education on entrepreneurship to all students at Kyushu University with the aim of producing leaders who possess a spirit of independence, aspirations, and a global awareness, and actively challenge themselves to create new value. The center also strives to be an education and research organization for full-fledged and top-class entrepreneurship in Asia.